Parties are great and all, but what makes them really get going, are the drinking games. 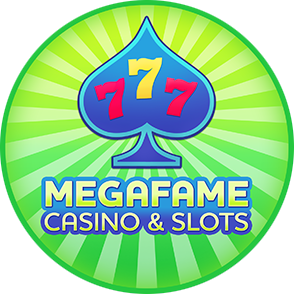 There are countless games to partake in to get your swill on, and most are pretty fun with the end goal the same, to get annihilated. Once this is achieved, everybody wins theoretically. Unless you are the one hugging the toilet tighter than the guy with the last bag of chips at the party, then you definitely lose. These three drinking games everyone knows, and for good reason. They get you off the couch, and give you a chance to get rejected by that broad you have been drunkenly, cross-eyed creeping on all night. Edward 40 Hands. This is the most simple, yet painfully awesome way to make sure everyone gets wrecked in a fair amount of time, with most likely a mess to come. 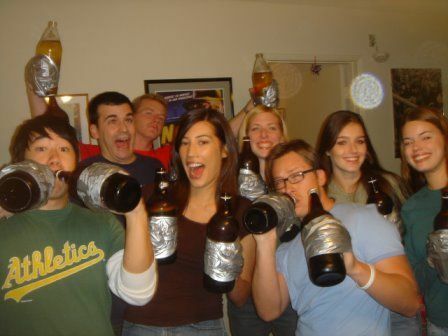 Everybody grabs hold of a 40 ounce bottle in each hand, then the bottles are tightly taped to the hands, and you must finish what is in the bottles before you can get released. As you can imagine, this can be an issue if you have to drain the main vein and have not finished the last drops. Doesn’t matter, every man for himself. Get blasted! Beer Pong. The staple of a house party. 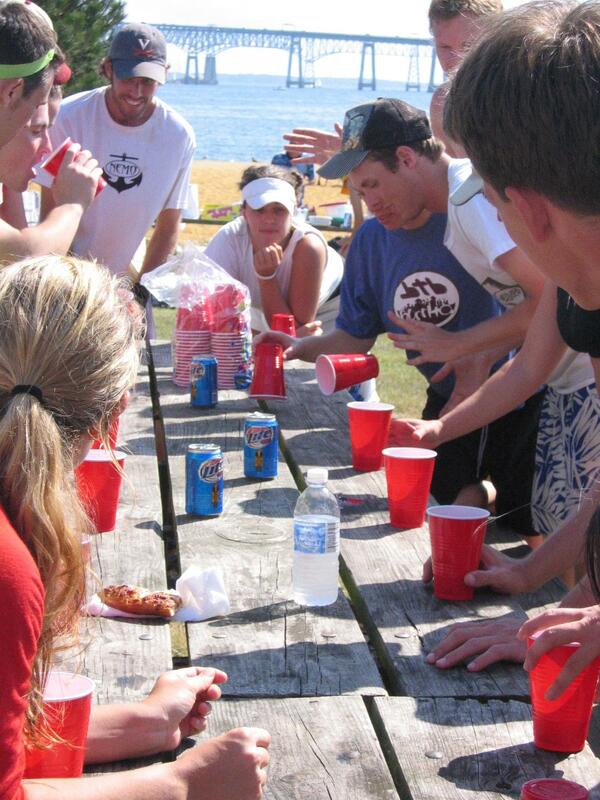 Set up some cups on both sides of the table, and fling balls away. Everybody knows the premise of this game, so we will not waste time talking to you like you are an 8th grade Mathlete. Many times this game is more of a way to ask someone you have been eyeing to be your partner, then ruin it by creating awkward silences and terrible drunken gameplay. 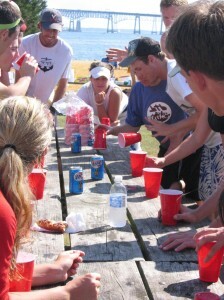 Beer pong is a must have for every party, and the competitive streaks will come out. Flip Cup. Another simple yet perfect innovation for a house party. Flipping a cup on its end is something your slow uncle that never moved out of his mom’s basement can do. Yet this game is one of the most intense, fun party games you can play. With unlimited participants, you can pit the bros against the trolls, friends against foes, or freshmen against seniors. All that matters is that you down the beer in your cup, and you somehow weasel your way into standing across from the chick you want to get late night pizza with, even if that means yelling an awful flirting version of talking trash to each other. Bottoms up, drink it down!